We welcome all groups of players to spend a day with us, from small parties to corporate golf days. Various packages are available, these are described below in more detail. We can also custom design a golf day to your own particular requirements. 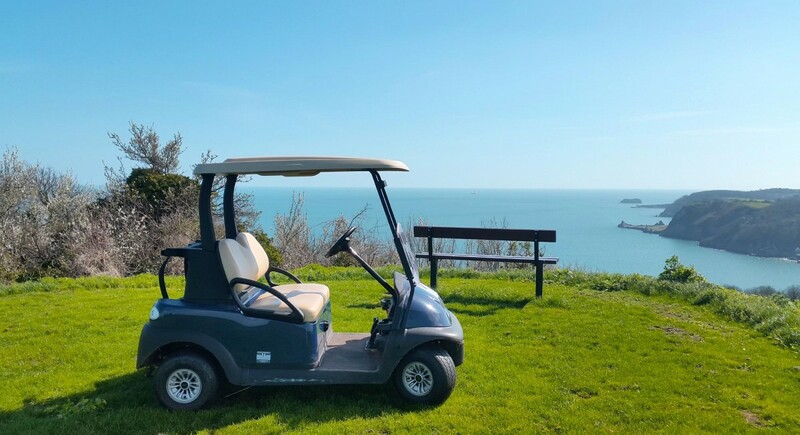 To arrange a golf day at Torquay Golf Club, please contact our office on 01803 314591. They will be very happy to discuss your group requirements, and will tailor your day for maximum enjoyment. To help us ensure that there are no surprises on your day please read our dress code requirements and directions to the Club along with your booking form below. For full details of the Society Catering or Carvery Packages, please see below for menu options below. Societies are required to choose one main meal option and 1 dessert option for the group. Any other Catering or Dietary requirements, please speak to the Caterers on 01803 313438. Numbers must be confirmed direct with the caterer no later than 72 hours prior to arrival.